Sunday I mentioned that David Cook would be on Saturday Night Live on November 1st, and how that could be a big boost to the release of his self-titled debut CD. While an appearance on SNL doesn’t necessarily guarantee sales, it’s been known to happen. Back when I was a record store manager, it wasn’t unusual for customers to come in the following Monday saying “I don’t remember their name, but they were on Saturday Night Live this week, and I can’t get their songs out of my head.” Even repeats of the shows that featured up-and-coming artists would generate interest. Case in point…Adele. Talk about a lucky girl! SNL gets its highest ratings in 14 years, and Adele gets a #1 record at iTunes. Look for a HUGE jump on the Billboard album chart this week. I wouldn’t be surprised if more radio stations don’t start adding “Chasing Pavements” or “Cold Shoulder” in the next week as well. Part of the beauty of the digital age is that the consumers can make their voices heard immediately, rather than the next business day. For those of you not up on Adele, shame on you! This is a record that I picked up in February, and that’s never been fully out of rotation since. “Chasing Pavements”, “Hometown Glory”, “Make You Feel My Love”…the record just has an amazing depth for a 19-year-old who is soulful well beyond her years. The fact that she hasn’t broken through doesn’t surprise me, as I have become used to this type of disappointment over the years. The injustice of Five Star not becoming massive in the U.S.! “China In Your Hands” not a hit! Liberty X can’t cross over! The British carnage along the U.S. highway of success fills two landfills. 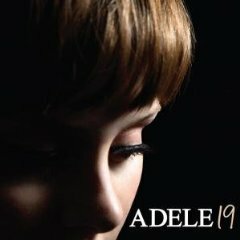 Adele’s CD is on sale at iTunes and Amazon. Pick it up here or here. 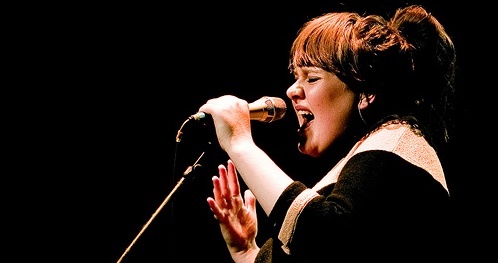 People give Amy Winehouse a lot of crap for being such a mess, but artists like Adele and Duffy (and whoever else decides to jump on the 60s retro white soul bandwagon) should be thanking her. In my stores I still play Dusty Springfield because she is the real deal and I’d love to be her son of a preacher man. OMG… Chasing Buttocks! LOL!!! I had not heard that until reading your post. Thanks for the huge laugh…I so needed that today! Oh, and I couldn’t agree with you more about Adele. Great stuff. 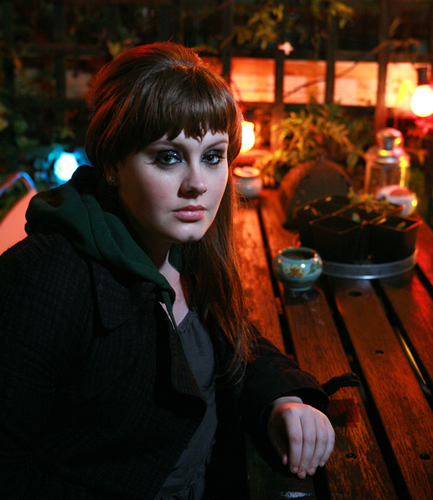 Looks like the only thing Adele’s been chasing in America is the Denny’s appetizer sampler basket. I’m a bit bored of adele and duffy and gabrielle killme, but chasing buttocks is hilarious. I look forward to weird al going top ten with that very song.